to make your carbs run like new and better. 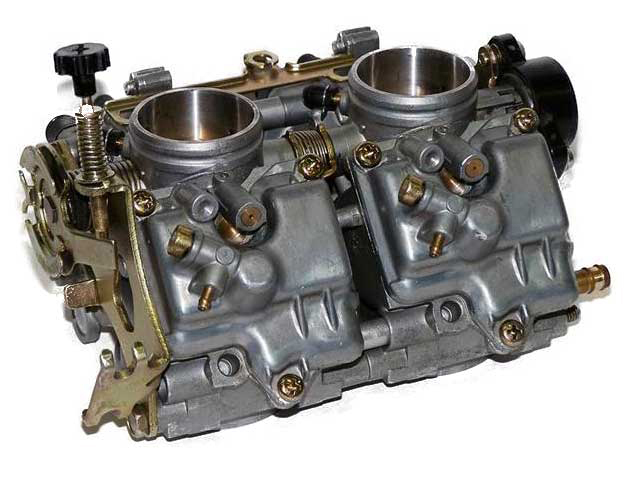 we will rejet your carbs for maximum Power and Performance! We guarantee our CarbWorks Services for as long as you own your bike! New Diaphragms & Replace Broken Slides in both Carbs. Installation of GMan's New Custom/Proven Needle Jets. Rejetting both carbs per your Setup, Pipes and Elevation. Cleaning and Inspect all parts. Replace w/OEM Needles and Shim appropriately. All you do is Reinstall and Ride. You simply remove and ship your carbs. When returned simply install, ride and enjoy. We typically see a 36% increase in performance over OEM setup, while getting 38-42 mpg based on your right wrist! Procedure: Place your order, remove your carbs - leaving them bolted together, drain all fuel, seal in 1 gallon Zip-Lock bag, add generous amounts of packing in box and mail via United States Postal Service (USPS) Priority Mail Flat Rate adding insurance for security. We guarantee our Needle Jets from wear for as long as you own your bike. You simply pay shipping each way and we verify and readjust all settings, guaranteed. "Whole Nine Yards Service for VL1500"
Review: I Was ready to sell MY 2000 VL1500, then I heard of Whole Nine Yards Service from GMan. After receiving carb Back from rebuild I Had trouble with the right carb flooding talked to Gary who instructed me to take the float cover off and found the float clip had moved during shipping. My 2000 VL1500 runs like a scared rabbit now. I give GMan a 10 Star rating. Thanks for the great service! "Thank you for the whole nine yards"
"Whole 9 Yards on 146k bike"